Jan Traylen: Albano Vanishing: Vanishing Point. 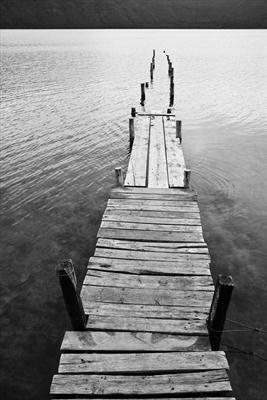 A landing stage on Lake Albano, Italy, vanishes into the water. The landing stage is vanishing into the lake.